We work with some of the biggest brands in Europe. We know how to make a brand stand out in a busy retail environment. We provide a flexible service to give you what you need – from design and manufacture to packaging, stocking, distribution and installation of your point of sale display unit. Our approach is tailored to your needs – we design a bespoke solution around your product and use the most suitable material for your budget, display lifespan and location. 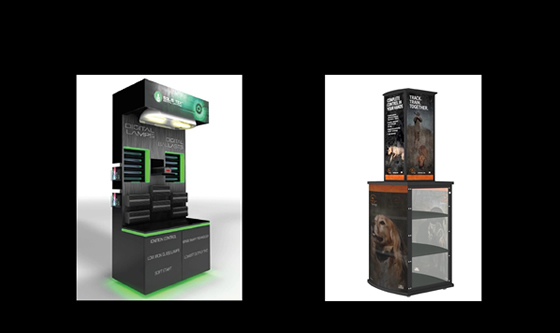 We work in all materials and media, applying a variety of finishes for temporary or permanent display units. We produce prototypes for you to approve and use CAD and 3D design software to ensure that we maximise the stock on display. We can deliver your units flat-packed, pre-assembled or fully-stocked to multi-site destinations and we can install the items to your specifications.